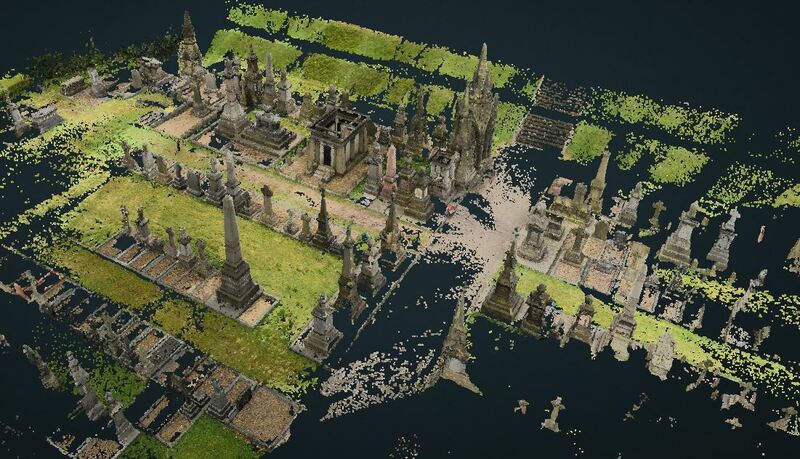 As part of the Field Recording Methods module, our Year 1 undergraduate students have been learning about photogrammetry and how it can complement traditional surveying techniques. With Tom Sparrow, the UG students went on a field trip to Undercliffe Cemetery in Bradford. This is a wonderful historic cemetery in the suburbs of Bradford. It contains a wide variety of monument types in terms of shape, size, materials, etc., which means there are a variety of problems associated with recording them and thus makes it an ideal testing ground for different surveying and imaging methods. 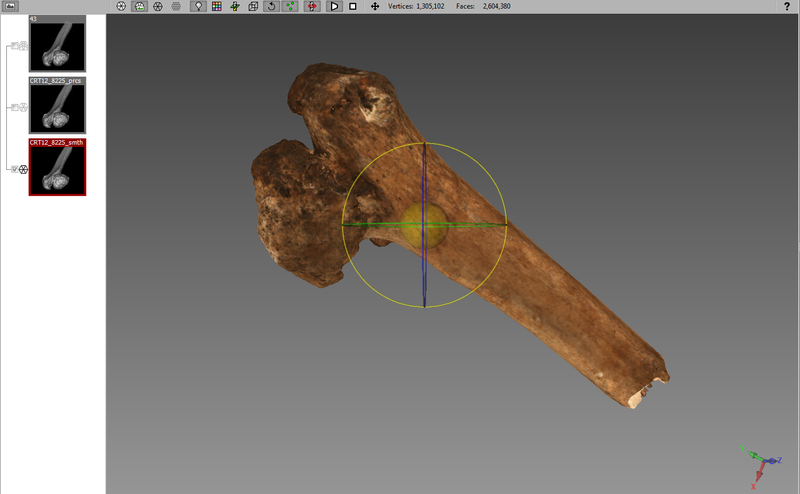 In recent weeks, the UG students have been learning about the theory behind photogrammetry as a tool for archaeologists. This fieldtrip gave them the opportunity to put these ideas into practice. 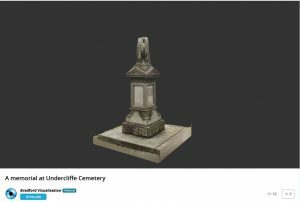 The students were advised on the best ways of photographically recording upstanding monuments, and then had the opportunity to try out different types of digital cameras from the SAFS Visualising Heritage resource to record an area of the cemetery. Figure 2: a screenshot of a 3D model of a memorial at Undercliffe Cemetery made using Photoscan software. 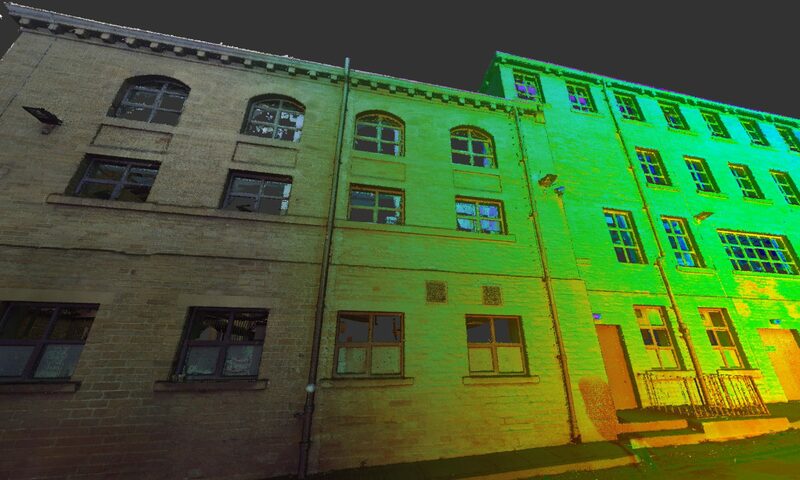 Once back in university, the students where shown how to use various photogrammetry software packages for processing the photos to turn them into digital 3D models. 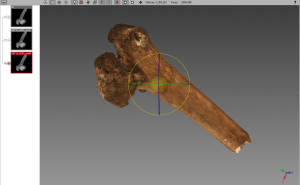 We were really pleased to see how well our students took to this technique of archaeological surveying and we are looking forward to more 3D models from them in the future. Our very own Dr Chris Gaffney is on his way to London to attend the William Hill Sport Book of the Year ceremony. A couple of years ago Chris and Tom Sparrow trained some students in geophysical techniques on the former Bradford Park Avenue ground (together with assistance from Stuart Fox, Mary Saunders and Alex Corkum). Bradford Park Avenue was a club that epitomises so much of English football. They played at the top level during the hey-day of football but by 1974 their decline was terminal. Their fine ground was only saved as it had a covenant which stipulated that sports had to be played there. The interpretation of that clause is a bit vague, but half the ground is still there. The University of Bradford team mapped the pitch and laser scanned some of the terraces at the Kop end. The work was done with Neville Gabie, Alan Ward and Jason Wood who had Arts Council funding to work with the community to record the ground in some way. 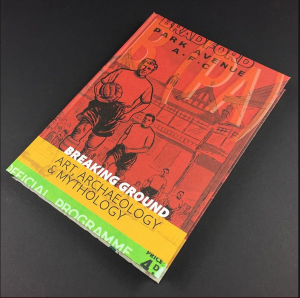 They produced an edited book, Breaking Ground: Art, Archaeology and Mythology, which includes a piece about the UoB team’s work. It’s a lovely volume which was crowd funded and only 500 were produced. Somehow it got noticed by those who judge books…long-list and then short-list of the William Hill Sport Book of the Year. The announcement of the winner will be later today. Good luck and fingers crossed for Breaking Ground: Art, Archaeology and Mythology. The book has been discussed in an article by The Guardian newspaper. You can find out more details of the William Hill Sport Book of the Year here.